The 1980s was an interesting time for car enthusiasts. This side of the Atlantic, American malaise-era cars like the Ford EXP, Dodge Omni and Chevrolet Corvette C4 rolled out of showrooms and into bumper-car traffic. Handicapped by restrictive emissions and half-baked “the future is now” corporate marketing concepts, these cars would dwell in the darkest cavities of our minds, were it not for the brilliance of Wikipedia. In Europe, the future was really happening. Engineers at Audi, Ferrari, Porsche and BMW had all sipped from a punch bowl spiked with horsepower and handling. By the start of the ‘80s they had all slowly slipped into insanity. 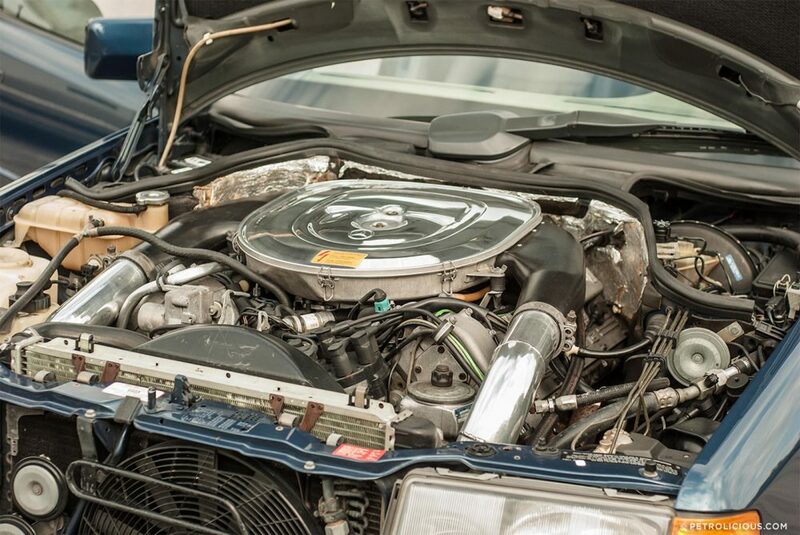 During this mental transition period, twin turbochargers were strapped to V8 motors and bolted to drivetrains out of trucks and dropped into economy coupes. Insert racing engines into smart looking sedans and dad had something to thrash on the weekends and get to work in a palatable package. This calculated laps in sanity gave the world unforgettable cars like the Ferrari F40, Audi Quattro, and the BMW M5. When BMW introduced the M5 at the 1984 Geneva Motor Show it created the performance-sedan niche. Those in the know mark the M5’s release as the dawn of a new era. But it really wasn’t. A modest tuning shop in Affalterbach had been doing the very same thing to Mercedes-Benz products since 1967. 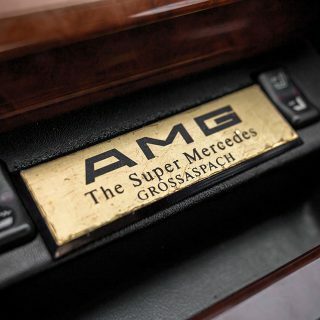 They called themselves Aufrecht, Melcher, and Großaspach (AMG) and if your pockets were deep enough, they could assemble a very special engine into the most unassuming Mercedes-Benz chassis. They’d compliment the new power plant with a bespoke a gearbox and suspension that were up to the task. In the process prospective buyers could choose from a seemingly endless list of options the likes of which can only be found in a modern Porsche dealership. AMG’s real claim to fame came in 1986 with a modified 300 E called the Hammer 6.0L–which was also available in 5.0, 5.4 and 5.6L variants. The package was available on all variations of Mercedes-Benz W124s, including the coupe, sedans. 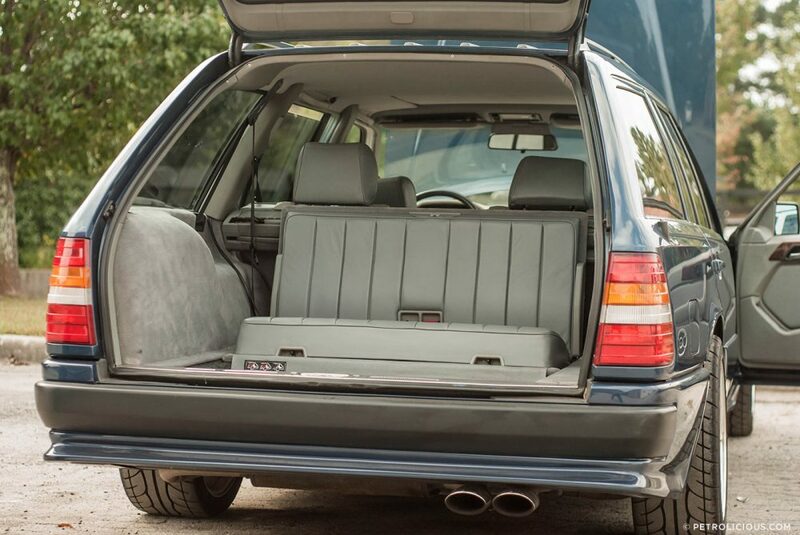 The wagons however were not an option and the one before you was a complete one-off request from its owner. 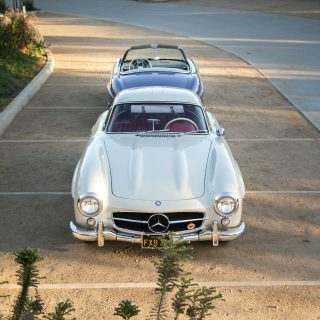 While AMG did oblige Once AMG was finished with its modifications, which took about a year to complete, it was no longer the humble family car that had rolled off the assembly line in Stuttgart. With nearly 400 horsepower on tap, the Hammer 6.0L quickly became a secret agent’s weapon of choice. The perfect car to terrorize unsuspecting sports car owners on the Autobahn while escaping a team of baddies. 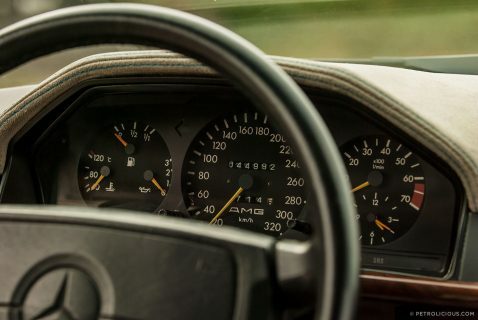 The 300 E AMG Hammer was neither the starting point, nor the pinnacle of AMG’s ability to extract supercar performance from ordinary Mercedes-Benz road cars. However, it remains an icon of the ‘80s where technology had begun allowing engineers to create insanely fast road cars without much interference. 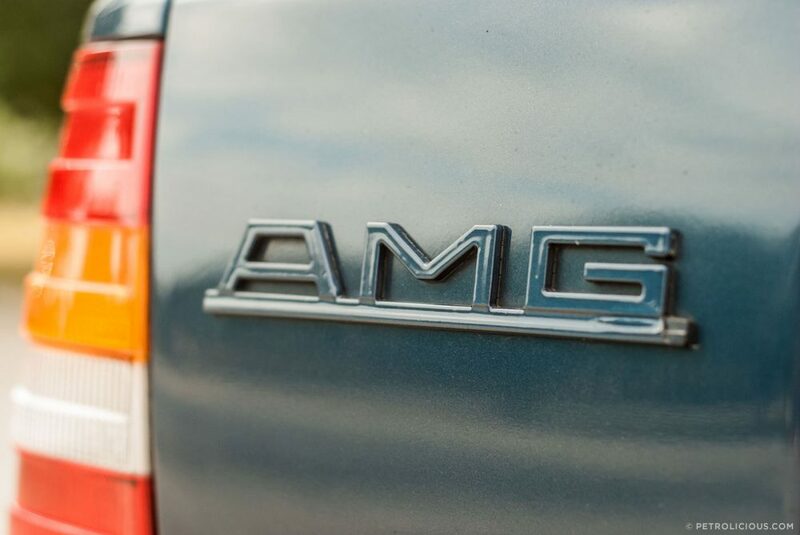 What we see in the Hammer is a culmination of 18 years of experience dating back to AMG’s first Mercedes Benz. 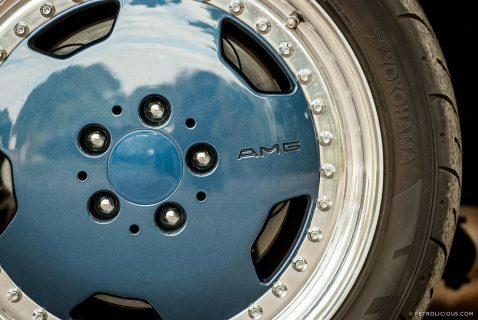 Founded in 1967, AMG really began to come into its own as an independent Mercedes-Benz tuner throughout the ‘70s. In 1971 AMG built the “Rote Sau” based on the 300 SEL 6.3L. However, the V8 was bored out to 6.8L and produced over 400 HP giving the car enough power to place second in the 1971 24 Hours of Spa. The success of the “Rote Sau” (Red Pig) allowed AMG to market top of the line products ranging from high-performance motors, transmissions, brakes,differentials and intricate interior packages. Whether you owned a lowly 190E or a top of the line SEC, AMG had a way to make it go faster, turn harder and look better. 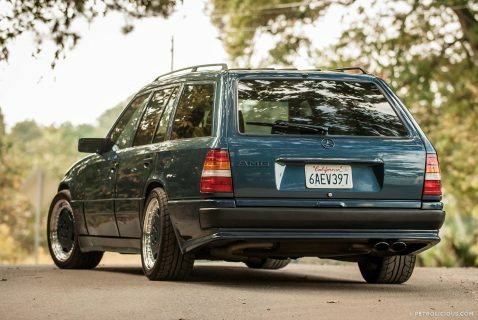 Finally, in 1986, AMG took a run-of-the-mill Mercedes-Benz 300E and sandwiched a 5.6L 16-valve V8 with 360 horsepower or a 385 HP 6.0L 32-valve V8 between it’s fenders. 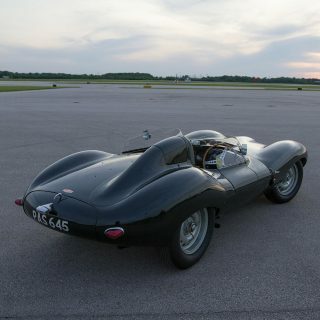 Despite weighing a stout 3,635 lbs, the Hammer was capable of sprinting to 60 miles per hour in five seconds and completing the quarter-mile in just 13.5 seconds at 107 MPH. A Porsche 911 Carrera 3.2L and BMW M5 of the same vintage came with only 231 horsepower and 286 horsepower respectively—1/4-mile times need not be mentioned. 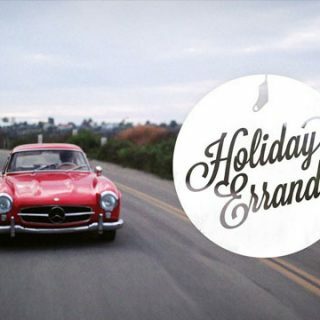 The Hammer wasn’t just a hot rod, it remained a true to its Mercedes-Benz badge despite all of its modifications, providing luxury and the latest technology of its time. With four refined leather seats (the front custom electric Recaros), wood trim, and a stronger four-speed automatic transmission it was the pinicale Mercedes-Benz you could option. The aggressive, albeit subtle, fender flare design of the body kit improved aerodynamics which was ideal for your autobahn morning commute. Perfect for the Hammer’s 186 mph top speed–more, depending on who you ask and who drove it. The entire Hammer package cost over $190,000, or $40,000 more than a fully-loaded Lamborghini Countach, keeping in mind…the Hammer was faster and more comfortable. Lowered on ATS wheels wrapped in meaty 265 tires out back, the Hammer had enough stance to make any hellaflush fan giddy. In typical German fashion, the wider track and aggressive rubber were meant for function. Without them the 420 lb.ft. 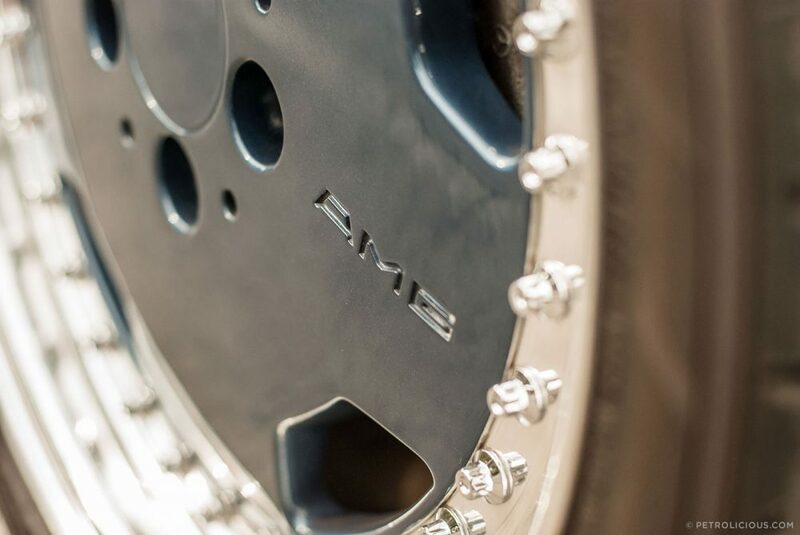 of torque delivered by the thumping V8 would incinerate traditional, narrow, all-season tires at the slightest throttle input. A Gleason Torsen limited-slip differential helped keep things neat during cornering. The Hammer was available in several colors (straight black, metallic blue black, midnight blue, gray, brilliant silver, and nautical blue). The car’s color accents would come in the form of silver or black wheels and a black leather interior trimmed in optional wood grain. While BMW M GmbH may have nailed the “Q-car” formula for the masses with their cheaper, more stealthy ‘85 M5, AMG set the bar for all high-performance sedans to follow. It wasn’t until 1998 that the M5 was finally able to produce the same performance as the Hammer did in 1986. 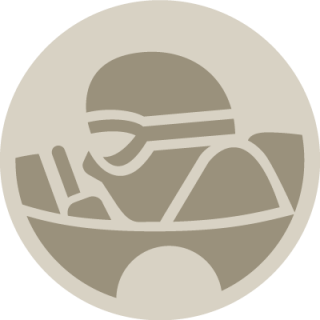 “calculated laps in sanity” … did you mean “calculated laps insanity” or “calculated lapse in sanity”? That, to me, is the definition of a luxury performance car. 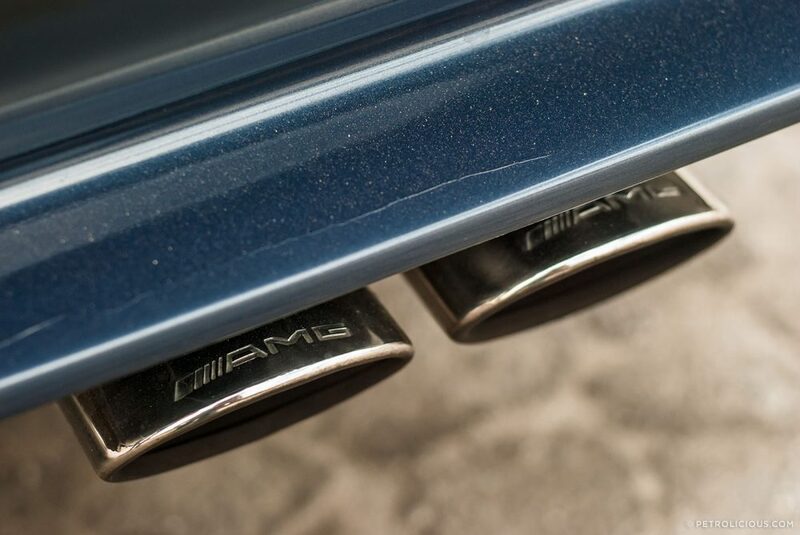 It’s not covered with pointless vents, grilles, and, doo-dads, like the current AMG Mercs. It’s not as boy-racerish as they, or, the new BMW M cars. It’s got a subtle, dignified, yet somehow, menacing look to it. 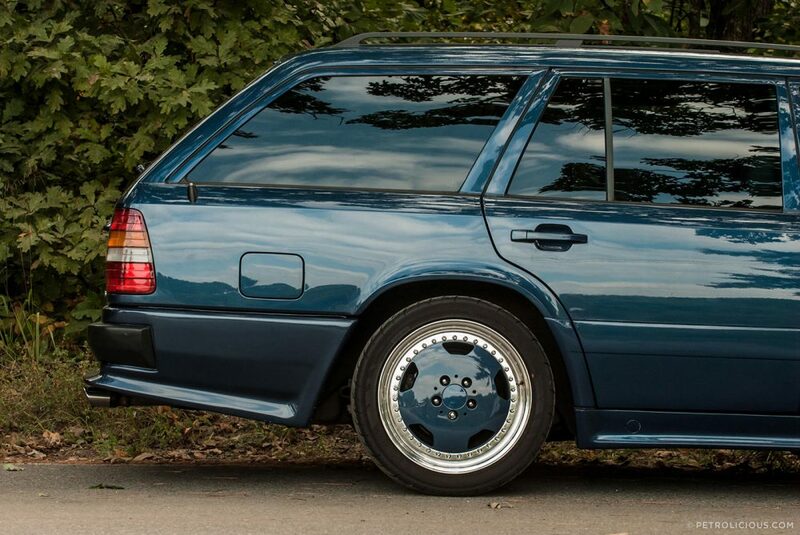 a nice discreet example of an ’80s amg. at the time amg was also known for the garishly coloured, highly modifed, four wheeled bordellos, popular with city wideboys and rich arabs. Hey the Omni GLH is awesome! Do a video feature! 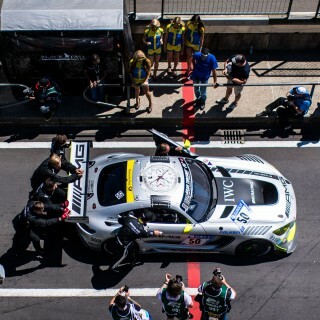 But oh man the AMG Hammer is one of those cars. I love Chris Harris’ video in one.